Home / News / Duterte warns DPWH Sec. 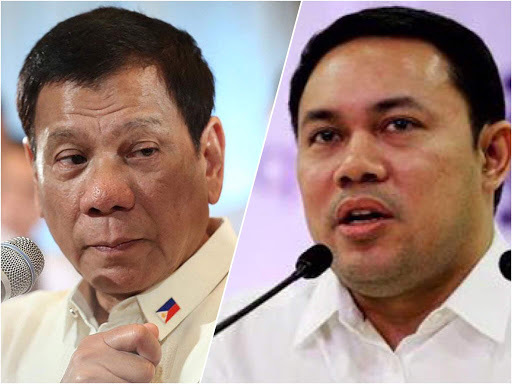 Mark Villar over delayed, failed gov't projects: "I will hold the Secretary responsible"
Duterte warns DPWH Sec. Mark Villar over delayed, failed gov't projects: "I will hold the Secretary responsible"
President Rodrigo Duterte said will hold the Department of Public Works and Highways (DPWH) Secretary Mark Villar accountable for delayed and failed projects of the national government. President Duterte said in his speech during the opening ceremony of the National Science and Technology Week in Davao City. Duterte also said that he has yet to see a road in the country that has been finished on time without a graft and corruption. “Wala akong nakitang p***** i**** daan dito sa Pilipinas na natapos on time na hindi produced ng graft and corruption. “Every program of the government ends up in an investigation,” he added. The Chief Executive also pointed out in the issue that he does not want any more delayed and failed projects under his administration. "Kasi lahat ng highway acquisition or easements, to widen the shoulders of the road or to make it a full-length ends up in corruption." "Lahat ng bagay. Kung magtingin ako sa TV, kung lahat itong p**—walang mangyari sa gobyerno,"
Duterte said that the Philippines will never progress in the 30 years if graft and corruption in the government will not stopped. "If we do not cut on corruption, we will never, never improve,"
He also urged the public to sue the government and the people involved should they get injured in an accident due to government infrastructure. “Yung dinadaan araw-araw ng tao, hindi inaayos. Marami nang nahuhulog diyan, marami nang namatay. It’s almost a nonchalant so make it a criminal issue,” he said. “Pag nahulog ka diyan, nabunggo ka unlighted, uncovered, ganoon, you sue the government. Pagka — siguradong manalo kayo diyan.” he added. “Sue the government and I will sue the supervisor and maybe ask the Secretary, ‘Kindly explain to me kung bakit ganito ang sitwasyon '” he continued. He further said that he prefers for the Swiss challenge as the ruling of procurement in government projects as it less prone to corruption than of the public bidding. A process in public procurement when a public authority which has received an unsolicited bid for a project publishes details of the bid and invites third parties to match or exceed it. “Lahat gusto ko Swiss challenge na lang. Swiss challenge, you produce the bridge and I’ll pay you. If you do not publish it in accordance with the specs, as my specifications, I will not pay you,” he said. “Kasi lahat ng highway acquisition or easements, to widen the shoulders of the road or to make it a full-length ends up in corruption… kung lahat itong p** — walang mangyari sa gobyerno,” he added. 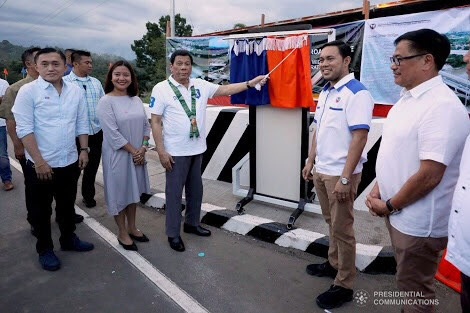 President Duterte administration has laid out 75 national government projects under its “Build, Build, Build” infrastructure program headed by the DPWH. The government is also set to spend at least P8 trillion to fund the this projects until 2022 based on the gov't program website.